The Japanese crested ibis is a large bird with pinkish plumage and long plumes along the back of its head and neck. 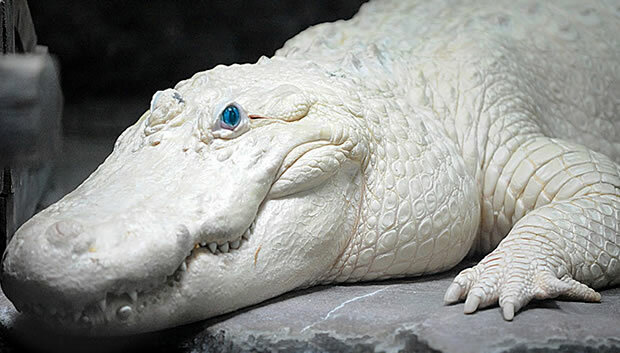 Its face has exposed bare, reddish skin, and it has a strong, dark, and curved bill with a reddish tip. The Japanese crested ibis prefers wetlands or open woodlands at elevations of 1200 to 1400 meters for its habitat where it can feed on small mammals, fishes, frogs, and insects. It has been seen nesting over large trees in April to May and it breeds one brood annually with two to four eggs. Both the male and female take care of the young. The young remains dependent on its parents for about 40 days after hatching. The Japanese Crested Ibis is now extinct over most of its former range and is now limited to the Shaanxi Province of China where it has an extremely small population. The cause of decline is habitat loss (mainly due to heavy use of agricultural chemicals) and overhunting. It was thought to be completely wiped out until the only remaining population was discovered in 1981. Chinese conservationists have since successfully studied and bred captive ibises giving hope to the species. Copyright Notice: This article is licensed under the GNU Free Documentation License. It uses material from the Wikipedia article "Crested ibis". Glenn, C. R. 2006. 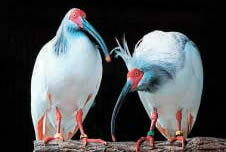 "Earth's Endangered Creatures - Japanese Crested Ibis Facts" (Online). Accessed 4/25/2019 at http://earthsendangered.com/profile.asp?sp=205&ID=3. Need more Japanese Crested Ibis facts?